Buy Kawai digital pianos at amazing discounts. 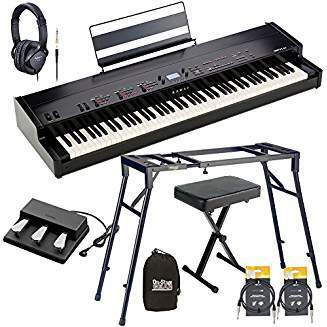 Kawai Digital Pianos lowest prices. The Kawai CE200, featuring Kawai's award winning AWA PRO II keyboard action. Utilizes long wooden keys. The action recreates both the weight and movement of Kawai's grand piano actions for an authentic piano touch and definitely among the finest digital piano actions available. The key to the Kawai CE200 fantastic sound is Kawai's highly acclaimed Harmonic Imaging Technology, which is capable of recreating the vibrant, rich sound of their 9 foot EX Concert Piano. From huge fortissimos to most delicate pianissimos, this piano has an exceptional playable dynamic range.